Pittsburghers! Don’t forget about the National Food Blogger’s Bake Sale this Saturday from 10-2pm! 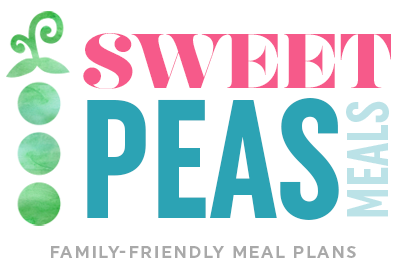 If you are still interested in helping out, contact me at merchant.jessica@gmail.com. Mother Lovett made a great angel food cake. Until this weekend, I had never tried my hand at one. And I figured it was simple as can be. Sure, Mother Lovett seemed rather particular about it – suggesting that it was a bit time consuming and a cake that required perfection. I thought that was only because she was particular about most things – like the placement of the oatmeal cream pies that expired in 2006. Or the 16 bottles of hairspray in the linen closet – most of which were outdated by 1965. Or the tissues, used and reused, that she stuffed up her shirt sleeve for easy access. This light-as-a-feather angel food cake was practically the death of me. There was the separation of the eggs, the folding of the flour, and the loss of my mind. And it was so totally worth it. Truth be told, I am not really a fan of plain ole’ angel food cake. Sure, if you give me some sugar-laden strawberries, a bucket full of whipped cream and some chocolate sauce, I would eat up. But I had never been tempted to bake an angel food cake on my own. Until I saw this one in Bon Appetite. 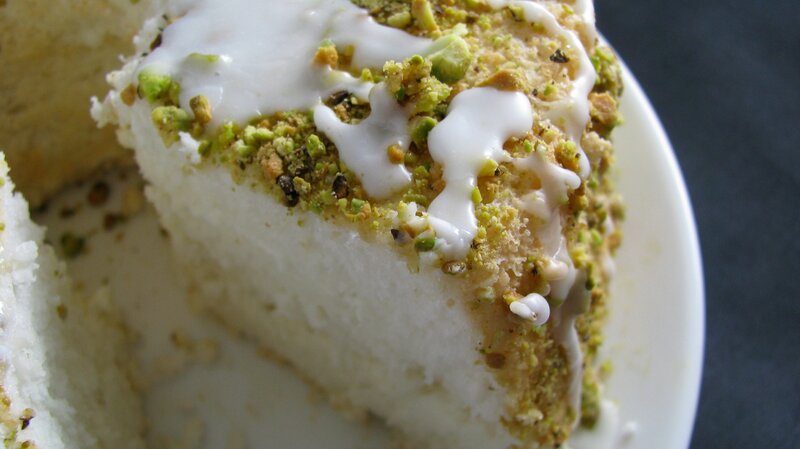 Angel food cake meets sweet, tart lime and salty, crunchy pistachios. It sounded like one fabulous dessert. I don’t know if I will ever be able to have regular angel food cake again. Even without the pistachios, the fluffy cake peppered with lime zest is fantastic – a very refreshing and summery treat. With the pistachios, it is basically heaven on a dish. When I chopped the pistachios, I added a touch of sea salt. That, combined with the sugary lime syrup underneath, and the lime glaze on top, makes for the perfect combination. My tastebud’s were more than pleased. Sift flour, 1/2 cup superfine sugar, and salt into a bowl; repeat 3 times. Using an electric mixer, beat egg whites, lime zest, and vanilla on medium until frothy. Add cream of tartar; increase speed to high and beat until soft peaks form. Gradually add remaining 1 cup of sugar, 2 tablespoons at a time, beating until stiff peaks form. Sprinkle 1/3 of the flour mixture over whites and gently fold in until incorporated. Fold in remaining flour in 2 additions until incorporated. Transfer to an ungreased 10-inch angel food cake pan, smooth top down. Bake cake until pale and golden and tested inserted in center comes out clean – about 38-40 minutes. Immediately invert cake and cool completely. Run a knife around the edges and remove cake from pan. Set cake on race over wax paper. Combine sugar and lime juice in a saucepan over medium heat until sugar dissolves. 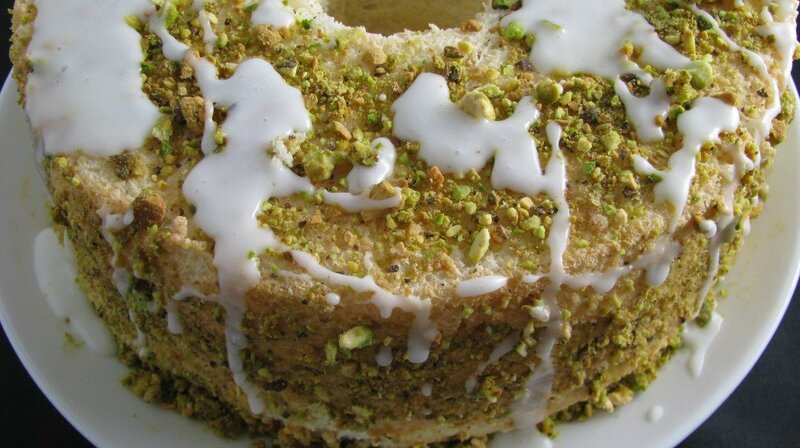 Brush syrup over cake and press pistachios onto cake. Whisk together lime juice and sugar until smooth. Drizzle glaze over cake and let stand 10 minutes to set. Just like Mother Lovett, I wrapped up this angel food cake in plastic wrap and foil and set it on the counter. Unlike Mother Lovett, I do not plan on freezing it and eating a piece this time next year. Whole Wheat Chocolate Peanut Butter Pancakes. This looks soo good! And I’ve never even tried angel food cake! Love this post. I need to go buy the ingredients for this right away). Two things throw me off despite your fantastic writing, though (not to be a nutty grammar lady) – it’s Bon Appetit, not Bon Appetite. And tastebud’s should be non-possessive — tastebuds. Did yours’ rise at all giving a rounded top? mine did not, a little worried but I haven’t tasted it yet!